Most books on branding (at least the ones I’ve read) are focused on corporations and startups. They offer a bunch of different elements and tools that your brand supposedly needs in order to be successful in the marketplace. When you read one of these books, you may want to throw it in the wall because it doesn’t sound like anything you could do on your own, so why bother? You’d need a bloody team of in-house brand strategists, designers, and brand managers in order to pull it off. I read these books out of professional interest, but they’re not written for the average small business owner. They’re written for the creative team, or sometimes the CEO or a marketing director that has access to a creative team. You may not have a creative team. You may be the only creative person in the room. Then there are books that talk about personal branding. These seem better for the average consultant. If run your own business without any employees (except maybe a virtual assistant), you are the brand. But what if you do have employees? Or what if you throw up in your mouth a little every time you hear the words “personal brand”? Is there something else out there for a business like yours? I asked myself the same question, and when I didn’t find it, I decided to create it. As I was researching and learning about branding so I can become a better brand designer for my clients, I noticed a problem: the information I was finding was inapplicable for the clients I was working with: small service based business owners and creatives. They didn’t have the budget nor the capacity to implement branding on such a scale. They didn’t need to do it on such a scale. Yes, some of the information was excellent. I learned from it and I became better, and started developing some ideas of my own. I’ve combined things in my head that I didn’t see explained in such a manner before, and I thought I had something here. Over time, these ideas grew into a framework that I now teach. But you may be skeptical, why did I go through all this trouble? 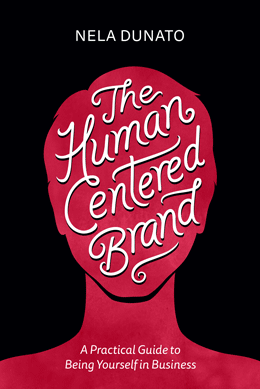 Why do I think The Human Centered Brand has any merit? Branding as we know it was first invented to mark products. To prevent people from selling counterfeit goods, barrels and crates of product, usually food and drink were marked by the producer (like a brewery). This way the customer knew they were buying the real thing. In the industrial age as producing goods became faster and cheaper, and products started appearing more and more alike, companies needed a way to differentiate from their competitors, so they started using things like clever slogans, nice typography, and distinctive colors to appeal to the public. Corporations were pushing the evolution of branding, making it more and more complex as technology progressed, and that’s how we’ve ended up where we are now. Corporate branding considers the company as a single entity and develops a “persona” of this company which has clearly defined qualities, similar to personality traits. Every single employee who communicates with the public on behalf of the client takes on this persona. This is done to ensure that the customer always receives a consistent experience, no matter which retail location they’re buying from. Corporate branding is all about the bottom line. Sure, you’ll hear a lot about customer loyalty and reputation management. You’ll see tricks like a company sending you an automated birthday greeting card. All that because getting a new customer is more expensive than upselling the existing one. If the bottom line says “we need to keep people from switching to a different provider”, the business will attempt to create a relationship with the buyer, and use every psychological trick in the book to fool them into thinking that someone on the other side really cares about them. I’ve got nothing against business results, and I must have at some point used the same wording because some guru told me I need to frame my services as a means to make more money so I could make more money selling to people who want to make more money, and I thought that was what I had to do. I don’t think that anymore. Personal branding originated with celebrities. Typically celebrities were famous performers, artists, sportspeople, scientists, journalists, radio and TV presenters, and other prominent figures. Even in other circles, professionals could rise to a certain level of fame if they did something notable, or if they made a huge impact on their industry. With the Internet, everyone got the opportunity to turn five minutes of fame into decades of fame and fortune if they played their cards right. Obscure coaches could become thought leaders through clever positioning and lots of online marketing. Personal branding became almost unavoidable, even if you’re an employee, because improving your personal brand meant better job prospects. Polishing your LinkedIn profile and Facebook page. Publishing articles in relevant publications. Becoming a spokesperson for a cause or an organization. Your personal brand follows you around regardless of the company you work for. CEOs have their own personal brands irrespective of their companies, as do employees. This is why when Stephen Colbert left Comedy Central and joined the CBS Late Night show, he brought his audience with him. People who are loyal to a personality follow them wherever they go, which makes this person very valuable to the company. Any artist or solopreneur has a personal brand, but if you ever plan to grow beyond one person, personal branding is not enough. Human Centered Branding to the rescue! On one side, we have stiff, synthetic brands that hide behind the “we” language, even if it’s only a one-person operation. 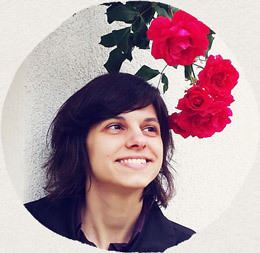 On the other end, we have personality brands with huge retouched photos of their face plastered all over the website. If none of these seem appealing, there’s a third way. But how do you create a brand for an agency made up of different people who all have different personality traits? The trick is to employ people who share your core values. This way people will each be able to nurture their own personal style of communication and approach, but they’ll be aligned with the core mission of their company, and act in the best interest of the group. Core values are at the foundation of a Human Centered Brand, and starting from them will lead to a healthy company culture where all the team members feel empowered and appreciated. I recently talked to someone who used an analogy that I just loved and immediately understood what they wanted to achieve with their business. They saw their agency team as a music band where everyone was allowed to be themselves, instead of wearing the same T-shirt with a company logo. In a band, each musician is being their best self and playing their own instrument, but the end result is harmonious music that makes sense to the listener (hopefully). Sometimes each of them has their own unique fashion style, while in other bands the members have a coordinated style, or use costumes. These pop bands were a part of the machinery and much of their public personalities were a fabrication in order to cater to the masses, but this just proves you can have a mix of different people in the public eye and still have an alluring brand. All your clients should ideally share your company core values. If your team consists of dramatically different personalities, then you as the business owner need to play the matchmaker. Fit the right client with the right team member, and ensure that the client always gets to work with the same person (unless they quit, get ill, or go on parental leave). “The same kind of music” in the business sense is adhering to the same professional standards, and working toward the common goals. There’s no reason why you couldn’t create a brand based on your core values right now, when you’re still on your own. You can use it even if you never plan to employ anyone else in your business. I mentioned before how the value framing around corporate branding is the bottom line. Invest in branding, and you'll make more money. The value framing I use with the Human Centered Brand is relationships. I don't want you to create a better brand just to make more money. Do it because you want better relationships with yourself, your clients, your team members, and your wider community. The side-effect may well be more money! But that's not the angle I'm using to sell it. This work is not for the bottom-liners because I can't guarantee the financial result. I don't think anyone can. Brand is dependent on senses, emotions, memories, impressions, and personal experiences, and these are fickle. The best I can promise to you is that you'll enjoy your business a lot more, and connect with your dream clients on a deeper level. How does that sound? Here’s the best thing about the Human Centered Brand: many people are already using it without even knowing it. To paraphrase a famous Montenegrin musician Rambo Amadeus: I didn’t invent Human Centered Branding, I just named it. I observed great examples of businesses and creatives around me, and reverse-engineered a framework that teaches people how to do that. That is all. One beta reader has told me she has already started implementing some of the things from the book that she wasn’t even aware she’s learned. That’s because none of this is esoteric, complex stuff. It’s really rather straightforward. It sticks with you. In any case, if you don’t like someone’s approach to branding, don’t hate on branding in general. Branding has many different flavors, depending on who is teaching it. If you don’t like my approach either, I’m sure you’ll be able to find someone who teaches it in a way that suits you better. Don’t give up. 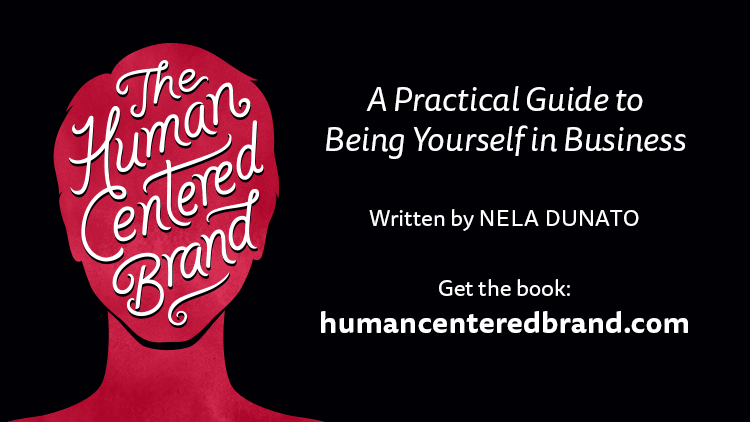 If corporate branding seems too robotic & personal branding seems too limited, Human Centered Branding may be right for you. 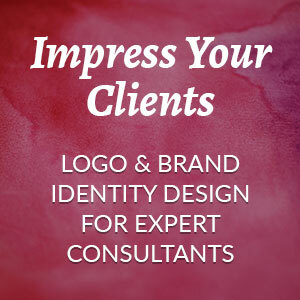 If branding has been on your to-do list, this is the perfect resource to get started. Learn more about the book.